LoveWorks Academy will be closed tomorrow, Thursday, January 31st due to forecasted weather. School will resume on Friday, February 1st. Please share with all LIONS!!! 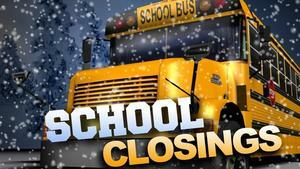 LoveWorks Academy will be closed on Tuesday, January 29th and Wednesday, January 30th due to forecasted weather. Come out and witness our scholars on stage!!! 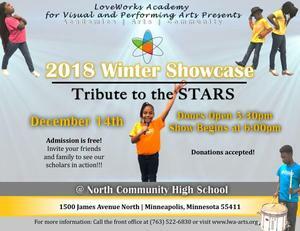 December 14th at North Community High School from 6pm-8pm.